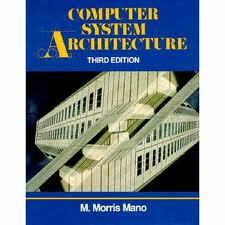 In this book we will cover the concepts of computer system architecture. In computer science and engineering, computer architecture is the art that specifies the relations and parts of a computer system. Computer architecture is different than the architecture of buildings, the latter is a form of visual arts while the former is part of computer sciences. In both instances (building and computer), a complete design has many details, and some details are implied by common practice. For example, at a high level, computer architecture is concerned with how the central processing unit (CPU) acts and how it uses computer memory. Some fashionable (2011) computer architectures include cluster computing and Non-Uniform Memory Access.